VL Elena 116/4 is another leading daughter of VL Rojo Grande 4-95. 4/95 daughters are known for their maternal excellence. VL Elena 116/4 is a very long-bodied, level topped, eye appealing female with lots of capacity, spring of rib and a very nice udder. 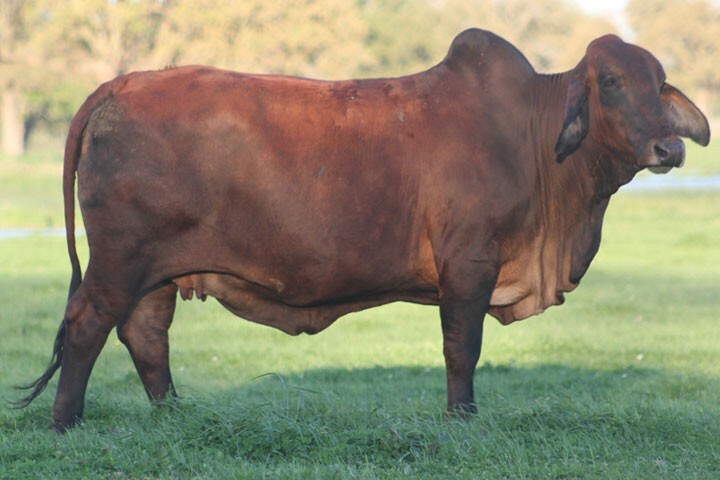 Her dam is the Register of Renown cow + VL Elena 9/99. + VL Elena 9/99 was the National Grand Champion female, and a leading donor that helped build Santa Elena’s foundation during the 1990’s. Her full sister VL Elena 30/1 was named the 2003 International Grand Champion Cow and the 2003 San Antonio Livestock Show Grand Champion female shortly after she was sold to Colombia. VL Elena 116/4 has produced several keeping heifers and daughters for us.